Learning how to use Norditropin Flexpro ® pen is a very simple process. Once you have your pen, you should also have a complete instruction pamphlet regarding how to prepare your injection pen and how to self administer your medication. 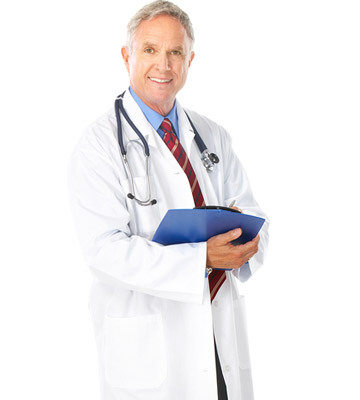 In addition, you can always call your expert clinical advisor to assist you. STEP 1: When you receive your medications and supplies, lay them all out in front of you on a flat, dry and clean surface. You want to make sure that you have everything necessary to use your Norditropin pen correctly. This means, in part, having all the necessary supplies. You will be looking to have your prescribed Flexpro ® pen, alcohol pads to clean your injection site and a sharps container. 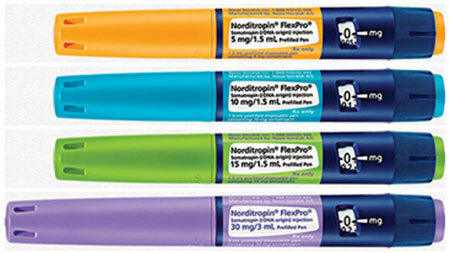 Norditropin Flexpro ® pens are all preloaded and prefilled for patients when they receive them. They use the thinnest needles that are available on the market and this makes them less intimidating. After the pen is used, it can be stored for up to 21 days without refrigeration, but then it needs to be discarded. When all your supplies are in front of you, you want to understand your pen fully. This means learning about all of its parts and also making sure that you have received the correct dosage pen. Look on the label to make sure. They will each be a different color. When you have confirmed that you received the correct pen, make sure that the expiration date is still good. Make sure that your pen has not been tampered with in any way or opened. If anything looks suspicious, do not use the pen. The first thing you need to do before preparing your Norditropin Flexpro ® pen for injection is to wash your hands with warm soap and water. a) Pick up your pen and pull off the pen cap. Turn the pen upside-down. This is to make sure that the medication in the pen is completely clear and colorless. If it looks murky or you see particles inside, do not use it. Turn the pen upside-down a couple of times to make sure your medication is not tainted. b) Get a disposable needle and pull off the paper tab. Push the needle onto the pen and turn it until it is tightly on the pen. c) Pull off the outer needle cap and throw it away in your sharps container. Then pull off the inner cap and throw that away in the sharps container as well. Before you use a pen, turn the dose selector to .01 mg just to check to make sure that the medication flows out of the pen easily. You will need to hold the pen upwards and press the dosage button until it returns from .01 mg to zero. You should see a drop of medication on the tip of the pen. If you do not see a drop of medication, you can repeat this step up to six times. If no drop appears, you can try another needle. If a drop never appears, do not use the pen. Do not use any more or any less medication that what your doctor has prescribed for you. This is extremely important to have a safe and effective hormone replacement therapy experience. The dose selector moves forward and backward for safety and accuracy. Choose the area on your body where you will subcutaneously inject your medication. Popular spots on the body are the abdomen area, the buttocks, the hips, the thighs and the upper arms. You must change your injection site every day in order to avoid irritation. Put the needle all the way into your skin. Press the dose button down and hold it. You want to keep it held until the dose counter reaches the zero mark. This is how you will ensure that all of the prescribed dosage of medication comes out of the pen and goes into your body (just under the skin). It is advised to count to six before you pull the needle out of your skin. You have completed the injection process. Now you need to twist off the needle and throw it away in your sharps container. Cap your Norditropin Flexpro ® pen. We hope that we have shared easy instructions on how to use Norditropin using the Flexpro ® pen. You must make sure to read all of the instructions that come with your pen as we have just given you a brief description here. Learn more about how you can start to change your life with the Norditropin Flexpro ® pen by calling our expert advisors or by filling out our online contact form.